Figure 2 from Kenneth Chan’s essay “Bad Gal” And The “Bad” Refugee: Refugee Narratives, Neoliberal Violence, and Musical Autobiography in Honey Cocaine’s Cambodian Canadian Hip-Hop: The “Orientalist” scene in Honey Cocaine’s “Bad Gal.” Reprinted by permission of Honey Cocaine Music. This issue includes the following scholarly articles. One of the raffle items at the APALA awards dinner—a bracelet with mini book covers of the winning titles. “It is a privilege and an honor to win the 2014-15 Asian/Pacific American Award for Literature in the adult non-fiction category. I am especially honored to receive this award from an association of librarians because, you see, I was practically raised by librarians since I was eight years old when my family immigrated to Hawaii from Korea in the early 1970s. Having to work several jobs between them from before sunrise to long after sunset, my parents could not afford any sort of childcare, after-school programs, or summer camps for their three children. My mother’s solution was to drop us off at the public library for hours on end. And this is how I fell in love with books, which plunged me into the world of dinosaurs, great white sharks, and faraway galaxies. It also led me to C.S. Lewis’s Narnia, JRR Tolkien’s Middle-earth, Thomas Hardy’s Wessex, and Maxine Hong Kingston’s girlhood among ghosts, white tigers, and shamans. I couldn’t agree more. The fact that I went on to earn a PhD in English literature, become a professor of Asian American studies, and author books about Asian Americans is a testament to the wonderfully subversive and revolutionary power of libraries and librarians. No, I don’t mess with librarians; I give them props! All of us at UHP join him in giving props to librarians everywhere! 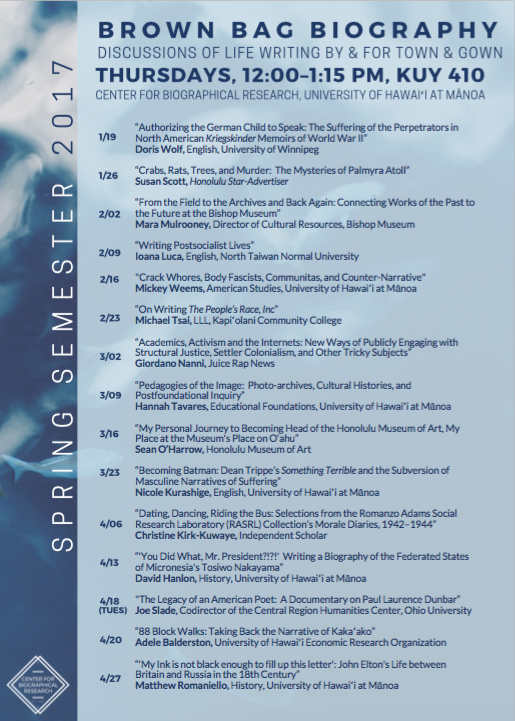 For complete title listing, go to the Intersections series page on our blog. Throughout the twentieth century, American filmmakers have embraced cinematic representations of China. Beginning with D.W. Griffith’s silent classic Broken Blossoms (1919) and ending with the computer-animated Kung Fu Panda (2008), author Naomi Greene explores China’s changing role in the American imagination. Taking viewers into zones that frequently resist logical expression or more orthodox historical investigation, the films suggest the welter of intense and conflicting impulses that have surrounded China. They make clear that China has often served as the very embodiment of “otherness”—a kind of yardstick or cloudy mirror of America itself. It is a mirror that reflects not only how Americans see the racial “other” but also a larger landscape of racial, sexual, and political perceptions that touch on the ways in which the nation envisions itself and its role in the world. In the United States, the exceptional emotional charge that imbues images of China has tended to swing violently from positive to negative and back again: China has been loved and—as is generally the case today—feared. Using film to trace these dramatic fluctuations, From Fu Manchu to Kung Fu Panda relates them to the larger arc of historical and political change. Suggesting that filmic images both reflect and fuel broader social and cultural impulses, the author argues that they reveal a constant tension or dialectic between the “self” and the “other.” Significantly, with the important exception of films made by Chinese or Chinese American directors, the Chinese other is almost invariably portrayed in terms of the American self. Placed in a broader context, this ethnocentrism is related both to an ever-present sense of American exceptionalism and to a Manichean world view that perceives other countries as friends or enemies. Greene analyzes a series of influential films, including classics like Shanghai Express (1932), The Bitter Tea of General Yen (1933), The Good Earth (1936), and Shanghai Gesture (1941); important cold war films such as The Manchurian Candidate (1962) and The Sand Pebbles (1966); and a range of contemporary films, including Chan is Missing (1982), The Wedding Banquet (1993), Kundun (1997), Mulan (1998), and Shanghai Noon (2000). The author’s consideration makes clear that while many stereotypes and racist images of the past have been largely banished from the screen, the political, cultural, and social impulses they embodied are still alive and well. The story of Catholicism and Protestantism in China, Japan, and Korea has been told in great detail. The existing literature is especially rich in documenting church and missionary activities as well as how varied regions and cultures have translated Christian ideas and practices. Less evident, however, are studies that contextualize Christianity within the larger economic, political, social, and cultural developments in each of the three countries and its diasporas. The contributors to Encountering Modernity address such concerns and collectively provide insights into Christianity’s role in the development of East Asia and as it took shape among East Asians in the United States. The work brings together studies of Christianity in China, Taiwan, Korea, and Japan and its diasporas to expand the field through new angles of vision and interpretation. By moving beyond issues of missiology and church history, it asks how Christianity represented an encounter with modernity that set into motion tremendous changes throughout East Asia and in transnational diasporic communities in the United States. University of Hawai‘i Press is exhibiting at two conferences this week, showcasing new and recent titles from our Spring catalog as well as our Asian Studies catalog. In San Francisco from April 16-19 at the Grand Hyatt for the Association for Asian American Studies Conference, acquisitions editor Masako Ikeda will be available to meet with prospective authors. In Chicago, editor Stephanie Chun will be at the Popular Culture Association/American Culture Association Conference from April 16-19 at the Marriott Chicago. Some titles to look out for at both meetings: From Fu Manchu to Kung Fu Panda: Images of China in American Film, Scrutinized! 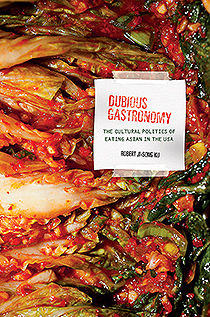 : Surveillance in Asian North American Literature, Dubious Gastronomy: The Culture Politics of Eating Asian in the USA, and Capturing Contemporary Japan: Differentiation and Uncertainty. Please visit us to see our latest titles and take advantage of the conference offer of a 20% discount and free shipping in the U.S. Free shipping applies only to orders received or placed at the conference.